This morning at 9AM we had a meeting with the proprietari (owners) at our new apartment. When we arrived, there were two operai (workers) inside finishing up a few things. We waited for the proprietari to arrive to go through the apartment and ask them questions about a few things. 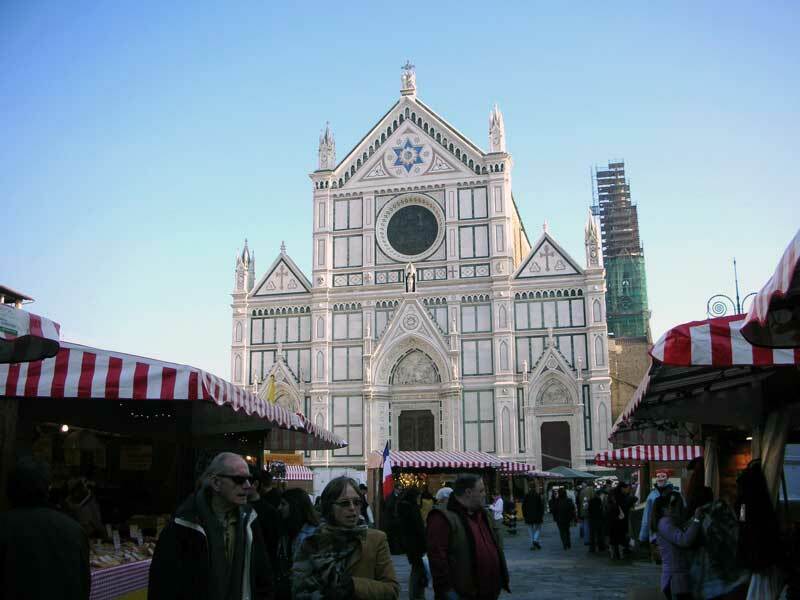 From one day to the next, the Piazza Santa Croce is transformed. Yesterday I saw them unloading the trucks and today the mercato (market) was open for business. For the past two years that we have been in Florence, this mercato di Natale tedesco (German Christmas market) has marked the beginning of the Christmas season. For some strange reason, the colder weather seems to come with them too. At 3PM on Sunday, we wanted to finally go to our new apartment and move in a few suitcases. I sent the proprietario (owner) an SMS to let him know what we were going to do today just in case there was a problem. I called to get a taxi about ten times and no one would come to our area because of the maratona, which had its finish line in Piazza Santa Croce. I received a telephone call yesterday from my agente immobiliare (real estate agent) to say that we can meet today at 3PM to sign the contratto (contract). We had planned to meet three other times this week and each one fell through. I wasn't completely certain our meeting today was going to happen until I arrived at the agenzia immobiliare (real estate agency). This year, my friend Sara invited us to celebrate Ringraziamento (Thanksgiving) with her husband and friends. She called me yesterday to coordinate what she wanted me to bring and what time to arrive. I spent all day shopping and cooking a few things for our dinner tonight. I get emails once in a while from people who read my blog. I'm always flattered that people take the time to write me, so I happily respond. I received an email from a guy who wanted to know if I knew Simone at Il Canapone because he saw that I mentioned the restaurant on my blog. It turns out that his girlfriend was dong an internship at Simone's restaurant and was going to APICIUS where Simone teaches as well. 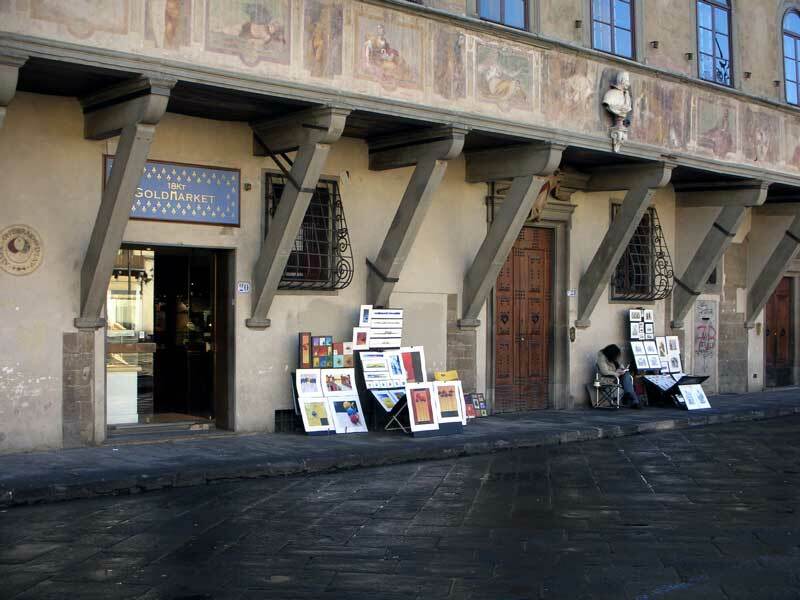 I admire all of the local artists who sit out in many of the piazze in Florence to sell their work. They are usually there every day of the week from March until November. Some of them even stick around during the cold winter months as long as it doesn't rain. Not only do I admire their talent, but I also admire them for doing what they love and making a living at it. When did they move Dante? I happened on this picture the other day and it caught my eye. 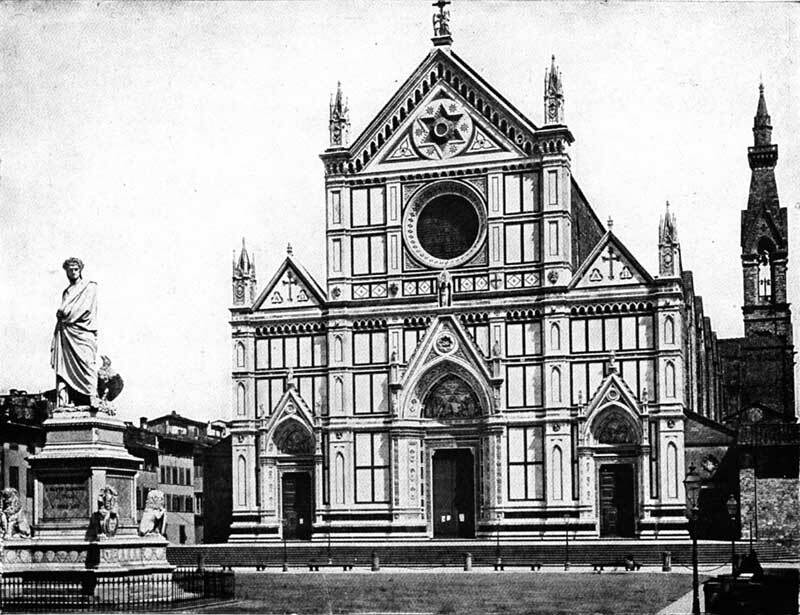 Not only because it was an old picture of Santa Croce, but because the statue of Dante has been moved from where it is shown in the picture. The Dante statue is now located at the top of the steps toward the left corner of the church when you face it. Seeing as though we had agreed last Saturday on the new apartment and signed the proposta di locazione (rental agreement/proposal) on Monday, I thought that we'd have the contratto (contract) to sign before the end of this week and receive the chiavi (keys) so we could begin our trasloco (move) this weekend. I received a call yesterday afternoon from my new bank, Monte dei Paschi di Siena. The woman who was in charge of opening my account, Mariella, told me that everything was ready for me to sign whenever I wanted to come by the bank again. Because the bank was going to close in less than an hour and I didn't want to rush down there, I told her that I'd come by today and I did. I was in a hurry this morning, but I rushed downtown to sign my contratto (contract) before the bank closed for lunch. For the past few weeks, the city has been working on via Ghibellina. 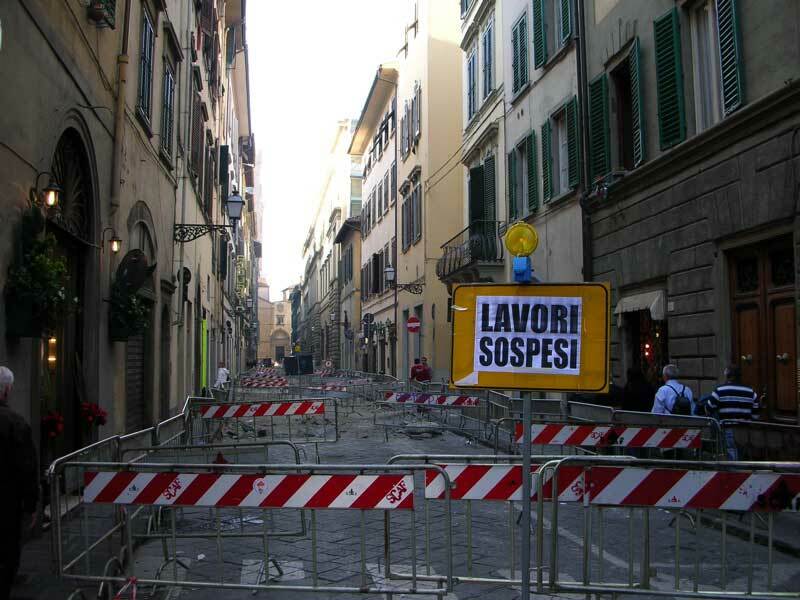 There have been many manifestazioni (rallys) because the workmen are digging up all the old stones from the street and dumping them in a truck to be hauled away some where. One woman who lives on via Ghibellina (as the story I was told goes) followed the truck and found out that they were just disposing of them completely. Their plan is to replace the old stones with asfalto (asphalt). 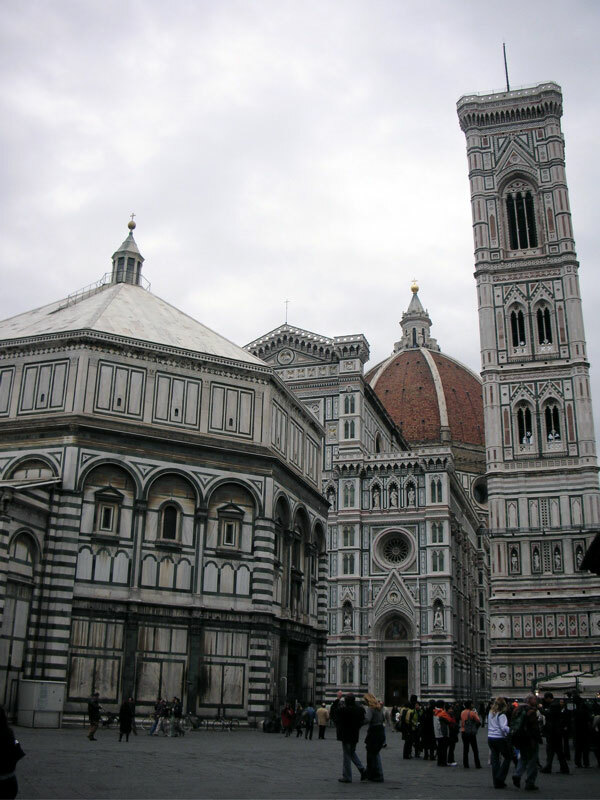 When I lived in Florence from 1997 to 1999, I had two different conti correnti (checking accounts): one at Banca Toscana and one at Banca di Napoli. I don't remember why I switched banks, but it was a big mistake. When I closed my account at Banca Toscana, I remember them taking money out before they gave me the balance. Then, with Banca di Napoli, I left my account open for a year after I left and when I came back, I owed them money to close it. For most of the day yesterday, I was a little stressed about our new apartment because we didn't sign the proposta di locazione (rental agreement/proposal). The proprietario (owner) and I did shake on it, but nothing is as sure as a signed proposta di locazione. The 20th apartment we visited ended up being the perfect one for us. I had actually visited it on Thursday and fell in love with it. When I made an appointment for Dave to come back and visit it, my agente immobiliare (real estate agent) asked the proprietaria (owner) to hold it for us until then. I was happy that she agreed since I knew that anyone else who saw it would have wanted it. This morning I went to the Teatro del Sale to attend a book discussion group. I received an email from Jeff Shapiro, the author of "Renato's Luck," in which he said that he was coming to Florence to talk about his novel with this book discussion group, and he welcomed me to come along.